Aaron S. Allen, Ph.D., F.A.A.R., is director of the Environmental & Sustainability Studies Program and associate professor of music. A native of rural Appalachia, he earned his B.S. (environmental studies) and B.A. (music) at Tulane University Dr. Allen then earned a Ph.D. in music at Harvard University. He was the recipient of the Paul Mellon Rome Prize and spent the 2011-12 academic year at the American Academy in Rome (here is an interview about his time at the AAR). Dr. Allen recently published Current Directions in Ecomusicology(Routledge 2016); here is a short article about it from UNCG Now. Before being appointed the director of Environmental & Sustainability Studies in 2015, Dr. Allen served as UNCG’s first Academic Sustainability Coordinator (see this article in UNCG’s Campus Weekly). He worked with faculty to increase and improve sustainability throughout UNCG, especially through workshops on how to incorporate sustainability into the curriculum. Dr. Allen worked with the Office of Sustainability to bridge academic and operations efforts, created the “Introduction to Sustainability Studies” (ENV 110) course, established the Sustainability Faculty Fellows Program, and helped to institutionalize the UNCG Green Fund. 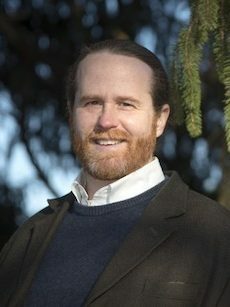 His environmental leadership began with three years as president of the student environmental organization at Tulane, where he led efforts to institutionalize sustainability (chronicled at this site, which also provides his undergraduate honors thesis, “Greening the Campus: Institutional Environmental Change at Tulane University“). Dr. Allen continues to serve on the executive committee of the UNCG Sustainability Council. He is also a member of the Council of Environmental Deans and Directors and a member of the board of directors of Population Connection. Dr. Allen co-founded and for five years chaired the Ecocriticism Study Group (ESG) of the American Musicological Society, and he co-founded and chaired the Ecomusicology Special Interest Group(ESIG) of the Society for Ethnomusicology. This website provides more information on ecomusicology (while their joint “Ecomusicologies” conferences are chronicled here). He currently edits the Ecomusicology Review. Dr. Allen’s conference presentations on ecomusicology include venues in music scholarship (e.g., the American Musicological Society and the Society for Ethnomusicology), interdisciplinary studies (e.g., 19th-Century Studies Association), and environmental studies (e.g., American Society for Environmental History, Association for the Study of Literature and Environment, Association of Environmental Studies and Sciences); he has given invited lectures at institutions in North America, Europe, and Asia. A number of Dr. Allen’s publications are publicly available here. After completing a dissertation on Beethoven reception in nineteenth-century Italy, Dr. Allen has continued to develop this unusual field of reception studies. He has delivered conference presentations and invited talks and has published papers on the topic. He is slowly working on a book tentatively entitled Fidelio in Italy: Beethoven Reception, Historiography, and the Crisis of 19th-Century Opera. Dr. Allen travels to Italy frequently and offers a unique travel class that combines music and sustainability studies. Aaron is originally from rural West Virginia, and his interests as an outdoorsman, environmentalist, and woodworker result from his time on the family farm, where he recently hand built a solar-powered log cabin with and for his parents. Schedule appointments via asallen.youcanbook.me. Dr. Allen’s office is in Graham 128-129. Contact him via email at asallen@uncg.edu or phone at 336.256.1415.